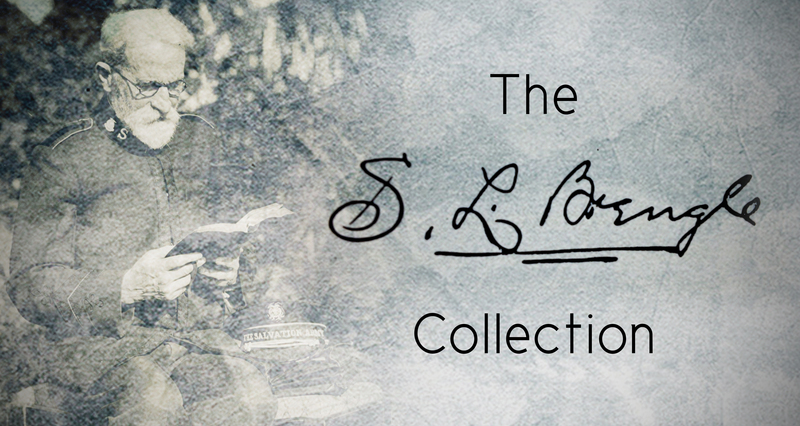 Samuel Logan Brengle is the premiere theologian of holiness and sanctification studies in The Salvation Army. The Army’s first American commissioner was a gifted writer and speaker, preaching and teaching holiness throughout his entire life and ministry. Allow his written works and articles to help you pursue holiness in your own life. Chapter 9 Must You be Fed with a Spoon? Chapter 13 Whom do You Trust, Yourself or Christ? Chapter 23 What about the Future of the Salvation Army? 📘 Click here to download all the chapters from this book. Chapter 7 Holiness Before the Flood; or, Do You Walk with God? Chapter 1 Holiness – What is it? Chapter 2 Holiness – How to get it? Chapter 17 If You Have Lost the Blessing – What? Chapter 23 Another Chance for You! Chapter 1 What Is Holiness? Chapter 2 Why Should We Be Holy? Chapter 3 How to Get Holiness? Chapter 4 When Can We Be Made Holy? Chapter 1 Who Is He? Chapter 3 Is the Baptism with the Holy Spirit a Third Blessing?